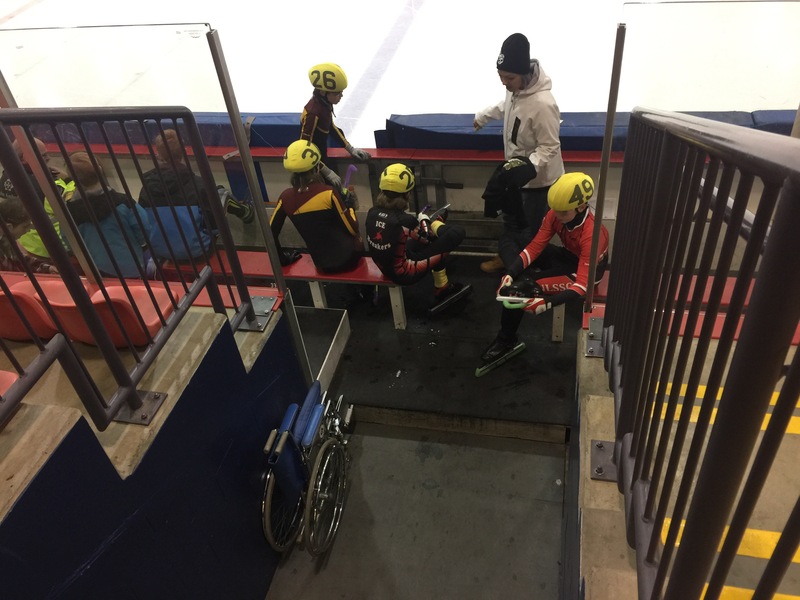 Today we traveled out of town for a speed skating meet. We left the comfort of the Lower Mainland and traveled to Kamloops. There’s actually snow on the ground out here and it’s cold! Strange concept for attending a competitive winter sport. Considering we were in t-shirts the other day back home. We had to come out to this meet for our children to get faster ice times. 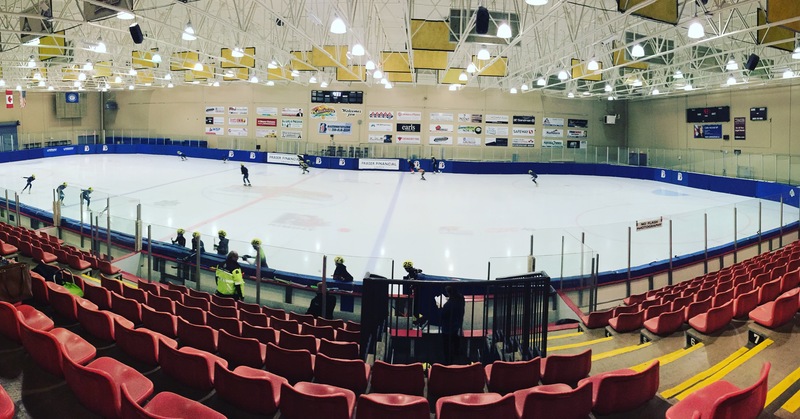 Being in a higher elevation, the ice is harder in Kamloops. Back home- the ice is softer. We needed to get a better time for our daughter to try and get her a “Wild Card” entry into BC Winter Games Feb.23-25 2018. Which will also take place here in Kamloops. Our two kids are of different skill levels, but had to compete in a race together. It’s not always about who is first, but rather their times. But it still caused some nerves in our daughter. With one false start, they needed to have a second start. At the end of the race, the kids were congratulating each other. All the other kids/teens that attend these meets start to get to know one another over the years. 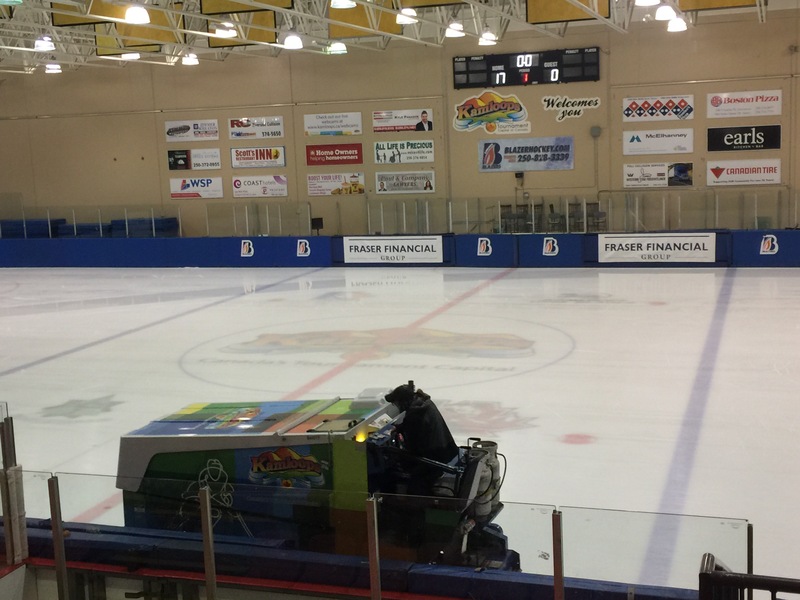 Even though we had the only two skaters from Langley/Lower Mainland at this competition- our kids know many of the other skaters. Lots of hanging out with them off ice as mom and dad fret over whether they are going to beat their previous times. Later this evening, we will journey back home. Hopefully the roads will be clear enough for us to get home safely. I almost wish I had a zamboni to drive. That’d be fun.